From the 1961 yearbook. Mr. Rees was the Industrial Arts Adviser. From the 1966 yearbook. 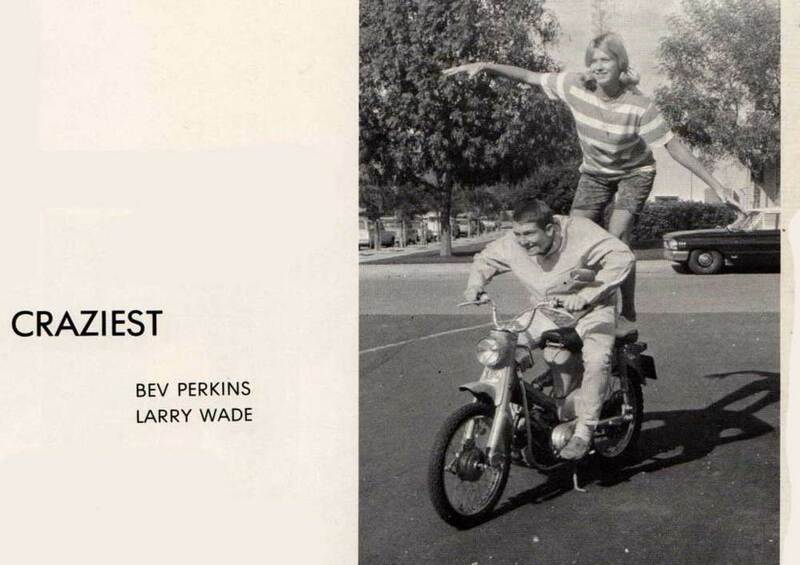 Bev Perkins and Larry Wade voted Senior Class "Craziest." From the 1956 yearbook. Senior Class Prophecy. Photo circa 1941. Fillmore High football field receives lights for the first time. Photo circa 1941. Fillmore High football field lights being installed. From a 1956 Fillmore Herald Newspaper clipping. A boxing match held in the Fillmore High gym. Photo. Circa 1980's. Alumni Board of Directors.